The difference between these two countries is less marked than it appears. the more cases are decided with consistent reasoning the more weight they acquire: this is the phenomenon of Constant Jurisprudence, a way to give “quasi legislative” effects to the Italian pronounces without violating the principle of separation of powers. Indeed, the Stare Decisis principle is not followed in Italy because it violates the principle that only the Parliament should make law; therefore, as aforementioned, Italian judgements only have effect between the parties and lower courts are not bounded by precedents established by higher courts. In practice, a decision of the Italian Supreme Court of Cassazione will be followed by lower courts to the same extent of the English ones, due to the particular Nomofilactic function entrusted to the Supreme Court itself. In addiction of being the Court of last instance in civil and penal matters, it has indeed the task of ensuring the observance and uniform interpretation of the law, in order to guarantee equality of treatment to everybody and the unity of the legal system. Thus, with its pronounces, the Court establishes what must be the current interpretation of a certain statute, and lower courts will follow it: they will decide the case at the stake applying the law as interpreted by the Cassazione, giving birth to a series of decisions consistent with the precedent of the Supreme Court. Therefore, this constant jurisprudence will define what is called the “living law”, the current evolution of the law, developed by the Supreme Judicial Authority taking into account the dynamic requirements of the modern society. However, it must always be stressed that the theoretical difference between Stare Decisis and Constant Jurisprudence, although in practice may lead to same results, remains significant: regarding cases with similar features, English lower Courts can’t do anything but applying the binding precedent given by the Supreme Court, while Italian Courts can deliberately avoid it and decide the case for themselves. They rarely do so because the Cassazione is the court of last instance and thus parties can appeal any kind of decision even slightly divergent from what is the interpretation of the law made by the Court itself with its precedents. Unless the appealed judge adduces very strong reasoning in order to make the Court change its orientation, the lower decision will inevitably be quashed, and the case sent back to another lower judge, who this time, and only this time, is legally bound by the Court’s decision. Therefore, although Supreme Court’s precedents are not binding, Italian lower Courts will follow them either way because they are strongly persuasive in their legal reasoning and because they know in advance that different decisions will be quashed if they are not supported by reasoning convincing enough to change Court’s mind. In England lower courts are bound to the Supreme Court precedent and cannot overturn it even if they disagree; they have to apply it, with the only chance to express their disagreement in a dissenting opinion which will invite the party to appeal the decision and which will hopefully persuade the Supreme Court to overrule their judgement. Thus, while theory distinguishes them, in practice both systems aim to assure the equality of treatment with a system of precedents which are binding by “reason of authority” according to the English Stare Decisis doctrine, and by “authority of reason” according to the Italian Constant Jurisprudence doctrine. The result of this analysis, is the evidence of how the distinctions between the two systems have blurred, as a consequence of a trend of change registered from both sides, the one taking inspiration from the other, towards a common point of coincidence, a commixture more fitting the modern globalization reality. 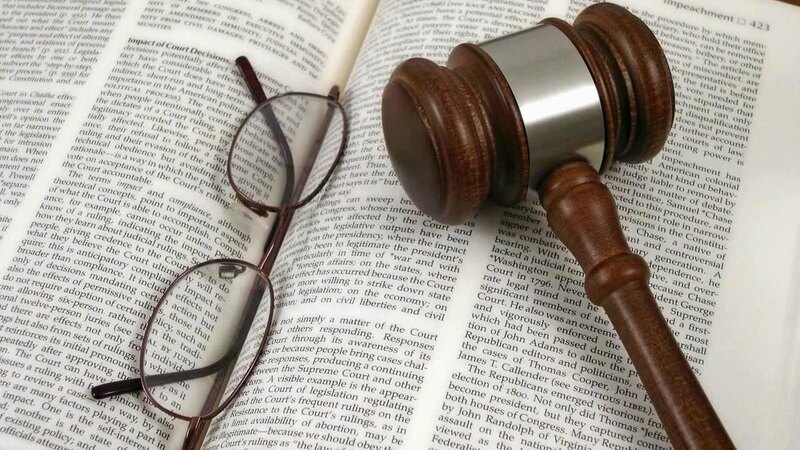 Common law countries are adopting some of the characteristics of the Civil law system, while Civil law countries are incorporating some features of the Common law tradition. Differences between legal systems are not seen as obstacles but as inspiring models to aim if anyone wants to achieve a decent level of integration that a modern, interconnected world as ours requires. As we have seen above, in Italy the Constant Jurisprudence doctrine combines with the Nomofilactic function of the Supreme Court consent to reach almost the same results of the English Stare Decisis principle. In fact, it aims to satisfy the needs of equality of treatment and predictability of the decisions without giving up the characteristic of legal certainty typical of a “code-centric” legal system. It is at the same time flexible and capable to easily adapt the general written rules to the varying and unforeseen conditions of society without turning to the very slow parliamentary law-making process. Besides, England, on the other side, has been conditioned by Civil law, especially by the need of a written law more democratic and easily cognizable by people, with an ordinated and referable consulting system in place of the immense and confusing precedent’s yearbooks in which sentences were gathered. Consequently, the influence of the Parliament on the development of law has increased immeasurably in recent years, with a “legislative hyperactivity’’ that brought to a process of “statutorification” of the common law principles developed throughout the years into detailed statutes of general application. The influence of judges has correspondingly decreased, limited to administrate the justice – at most interpreting the statutes if they let so – and leaving the law-making task to the legislative body, more in accordance with the principle of separation of powers and of supremacy of the Parliament. Therefore, the theoretical distinction between Stare Decisis and Constant Jurisprudence collapses in practice, giving as result two systems that, from opposite starting points, slowly converge – each one taking advantage of some positive characteristics of the other – realizing two “contaminated” systems that are better aware of the needs, the wants and the usages of the dynamic and globalized modern society. According to Art. 70 Cost., supra 30. Nomofilachia, from greek νόμος and φυλασσο, literally protection of the law. And it is excluded the possibility of distinguishing. As a matter of fact, the Parliamentary law making process is extremely slow, while the judge-made law is able to be more responsive to the changing of society circumstances (Griffith and Tengnah, 2010). i.e. Judicature Act, Partnership Act, Sale of Goods Act, Bill of Exchange Act etc. – Tetley William, Mixed jurisdictions: common law vs civil law (codified and uncodified) (Part I) Q.C. – Costituzione della Repubblica Italiana, [Gazzetta Ufficiale 27 dicembre 1947, n. 298].